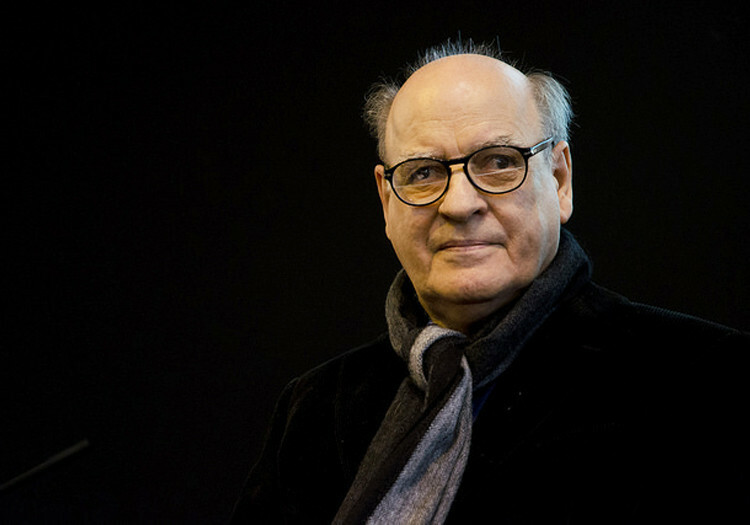 With his great creation Mafalda, Quino is one of the most read Argentine writers in the world. This young girl with a bushy dark hair, the only child of a middle-class Argentine family until the arrival of her young brother Guille (who was brought by a stork from Paris as any other Argentine child), is called Mafalda and lives in Buenos Aires. Her personality: she is curious, naughty and very intelligent. Date of birth: 1963 due to a series of circumstances. Young draftsman Quino invented this character for an advertising campaign of a manufacturer of electrical appliances who wanted the character to have a name with two letters of the trademark: M and A. Quino called her Mafalda and made her a rebellious child. Eventually, the advertising project never became a reality. In 1964, the next year, the weekly magazine Primera Plana asked Quino to submit an innovative idea. Mafalda reappeared in the press with bothering questions and philosophic reflections. In 1965, she started to appear in El Mundo in daily comic strips; and a year later, a compilation of her was published. Mafalda has friends: Susanita (jealous, conformist and coquette), Felipito (dreamer and lazy), Miguelito (naif) and Manolito (stubborn and materialist). They meet top lay cowboys and Indians. Mafalda likes the “Beatles”, chess, listening to the news and playing outdoors. Mafalda hates soup, war, injustice and weapons. She usually expresses severe critics about her mother (housewife that is not a profession for her) and her father (insurance agent and amateur gardener) and society surrounding her, in general. Summing up, she is discovering life and the world that puzzle her. (“Why do we have to push this country to put it forward?”). In 1968, Mafalda started to travel: first to Italy where she had to be translated, then to Spain, Portugal, France (1973), etc. The Argentine girl became famous! However, Quino decided to shut her up in 1973. 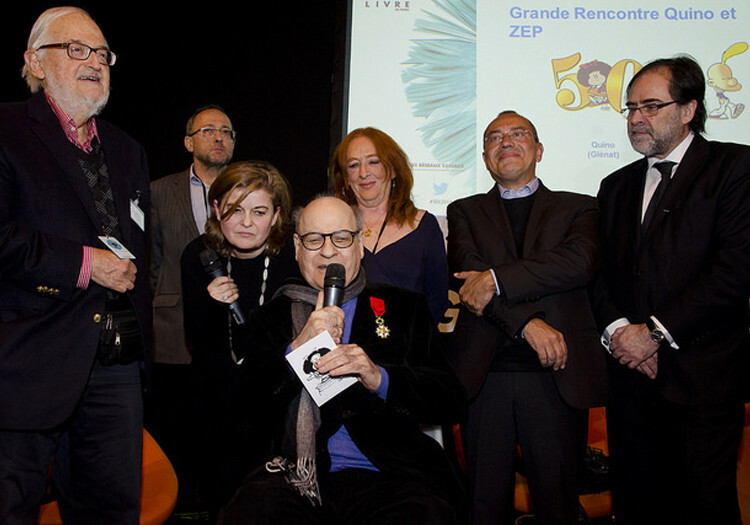 He kept on drafting reality and society situations but with other characters and without a repeating hero. 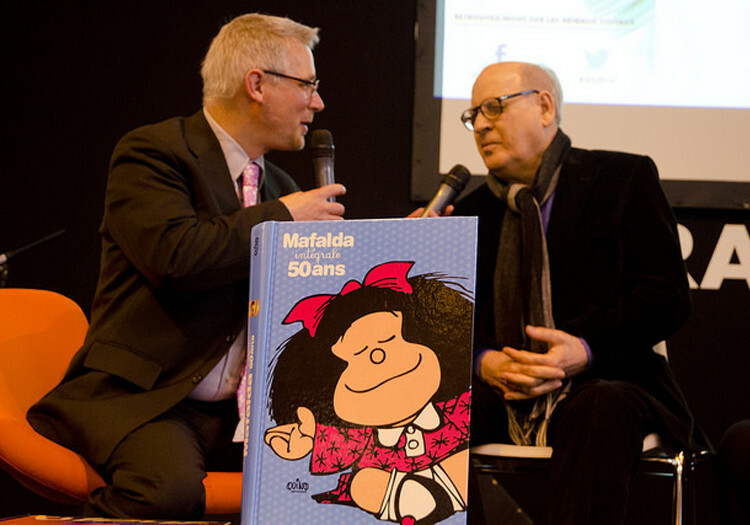 Even then, Mafalda is still being published and read around the world and has been translated into Mandarin, Greek and even Galician. But after 50 years, in 2004, she could speak English and got to the United States (too complicated for children, publishers explained). 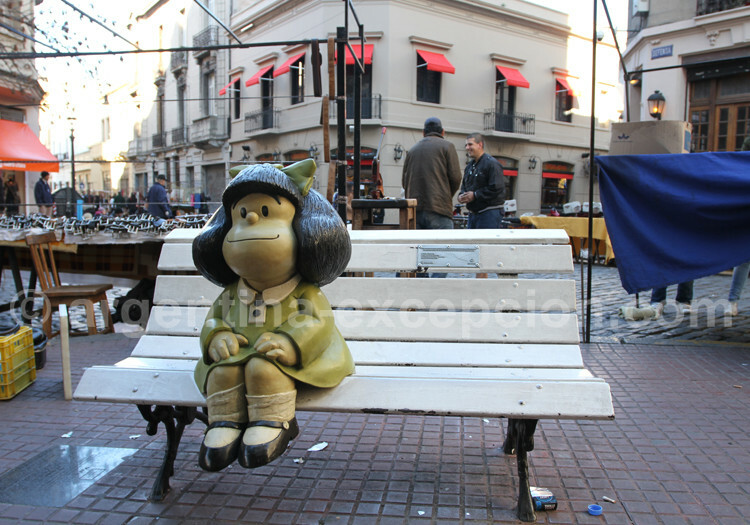 In Buenos Aires, there is a square called Mafalda in her honor, in Colegiales neighborhood, because it is clear that she is not an ordinary citizen.